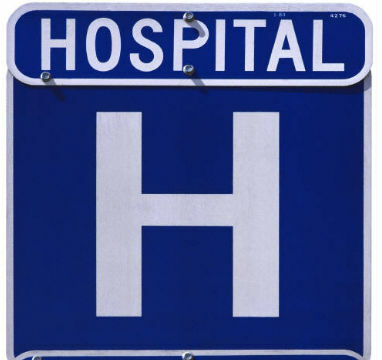 The AARP, Inc., (AARP) recently reported on a “sweeping national trend” of hospital mergers. Looking out for its constituents, the AARP pointed out that when a small hospital is taken over by a larger group, costs can increase by 5 to 40 percent. This is bad news for patients and the communities the hospitals serve. Changes in affiliation can drastically impact medical professionals, as well. Some healthcare providers can no longer practice at a hospital once it changes affiliation or, if they can, their compensation may be drastically altered. Healthcare providers with business interruption insurance will have something to fall back on. If a facility is quickly sold, healthcare providers who suddenly find themselves unable to practice at the facility until they re-apply and receive credentials from the facility can seek compensation through their insurance to bridge the gap. If a facility is closed entirely, some policies will assist with helping healthcare providers as they seek relocation or find another solution for their practice. Should healthcare providers be worried? Hospital mergers, and some closures, will continue as the Affordable Care Act takes root in the U.S. – the entire healthcare system is experiencing changes, and it may take some time before the industry settles. The issue of closures and mergers has caught the eye of the Federal Trade Commission and the U.S. Justice Department, and both organizations, report the AARP, are policing hospital mergers that might leave insufficient options for patients. The American Hospital Association’s report, “Hospitals and Care Systems of the Future” takes a thorough look at what hospitals will look like in the future. If you own or work in a private practice, download the report and refer to it as you begin to plan for the future. Practitioners everywhere could be impacted by mergers and closures. Being prepared is key. Maintain affiliations with as many facilities as you can, and keep an ear to the ground in your community to know when changes are coming down the line – if you know a merger is in the works, begin the application process early for credentials just in case. To be completely safe, talk with your insurance provider to make sure that you’re covered in the case of business interruption. If you’re not covered, work with your provider to add this coverage to your policy. It may be difficult for doctors to obtain business interruption insurance, depending on what part of the country a doctor is in, what kind of practice the doctor has, and a host of other factors. If it’s difficult to obtain business interruption insurance on the open market, then consider launching an enterprise risk captive to gain the coverage you’ll need. We will be glad to talk with you about how to set up and launch a policy – contact us if we can help.